It’s a valid question! What use is there in spending time & money to learn a method that will be obsolete in no time? Luckily, there are ways to craft strategies that automatically adapt to changing market dynamics, and that follow the rhythm of the market without imposing any kind of fixed structure over the price ladders. One way to craft an enduring strategy, is to incorporate volatility dynamics into it. We have already written an extensive article on the importance of volatility and the behavioural aspects of volatility. Today we will discuss strategies that revolve around one particular aspect of volatility: contraction & expansion. Let’s start by highlighting the fact that volatility is cyclical. It rises and it falls. As we discussed in a previous article, volatility tends to persist. This means that when volatility rises (from some kind of external shock like news or other non-discounted developments) it tends to remain higher. Vice versa: when volatility starts dropping, it continues to drop until the next shock appears. An easy way to illustrate the cyclical nature of volatility is to highlight the intraday peaks & troughs. This is a very well known dynamic that some strategies already exploit. The Asia/Pacific session tends to be a quiet session, where volatility diminishes and range-bound conditions apply (usually). Then the European session gets rolling and, with increased participation, volatility rises. This is the background condition that makes “Asian Range Breakout” strategies profitable: the increase of participation, so the increase of flow, pushes prices further. The climax happens during the Europe/North America overlap. And then, as New York winds down operations, conditions slow down into the Asia/Pacific session. Our very own Sam, amongst his various models, has a short-term method based upon this very dynamic. 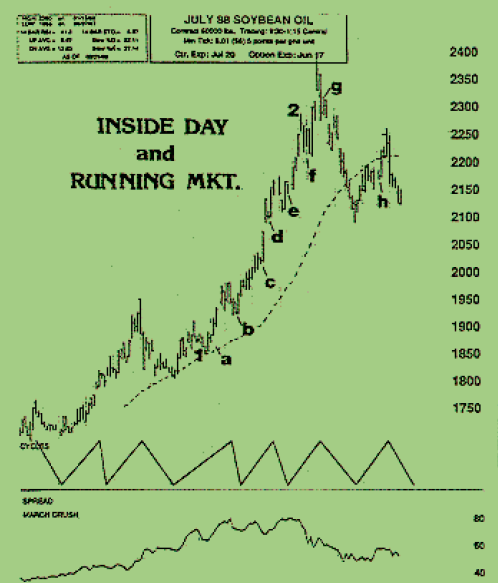 You can read it here, and see his results during a typical trading month. Simple Average True Range overlayed on a 1H EurUsd chart. But the concept of volatility contraction/expansion is not just useful for entry tactics. Volatility contraction is useful also for investigating “background” conditions. Let’s apply the same concept, in a slightly different manner, to a USDJPY Daily chart, since the USD has been the major driver in the past month. 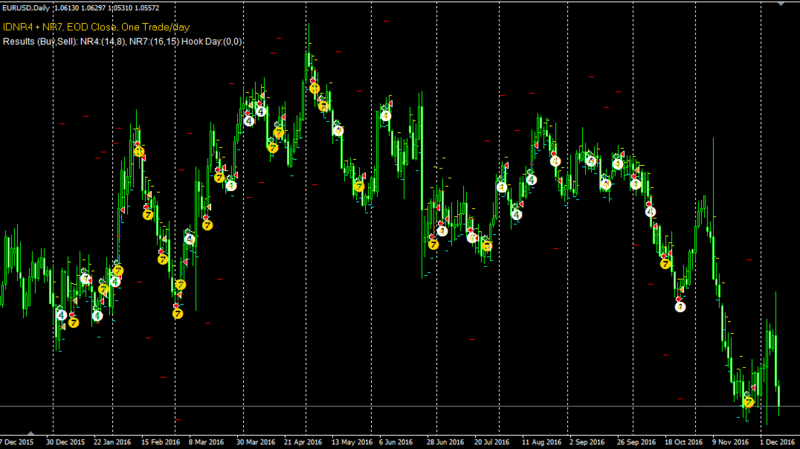 USDJPY Daily Chart, with the ATR Oscillator applied. 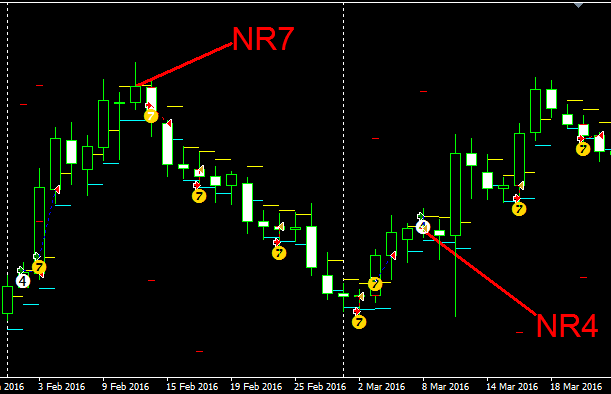 In the chart above, we overlayed the ATR Oscillator onto the Daily chart of UsdJpy. The ATR oscillator simply shows the difference between 2 ATRs: longer term vs. shorter term. The idea is to keep all measurements adaptive to current volatility readings. For example, a 20 Day ATR measures the average daily range of the past trading month. A 5-Day ATR measures the average daily range of the past trading week. So if you take the difference between the two, you can highlight short-term volatility expansions and contractions. Once again, we can see how volatility contracts and once it reaches a lower boundary, it tends to expand. And once it reaches the higher boundary, it mean reverts. Volatility expansion tends to be correlated to trending price movements, and volatility contraction tends to be correlated with consolidations. There is an important caveat to this: higher volatility does not necessarily imply trends. And a trending market does not imply higher volatility. Sometimes volatility actually decreases in trends. Trends usually start with a volatility expansion (which is directly related to the strength of the fundamental driver creating the burst – for example Trump becoming the President-Elect in November 2016). Consolidations (volatility contraction) are pauses in market movement. The market is coiling and gathering energy, preparing for the next explosive move. Our resident programmer Craig & I have been busy attempting to code a successful Expert Advisor that works off of volatility contraction instances. We are building on the work of a well known market expert: Toby Crabel, the original devisor of the Opening Range Breakout. In a market with a strong bias in one direction or just after a clear supply or demand indication, a trade in only one direction is taken. This is called an Opening Range Breakout Preference (ORBP). Basically, the volatility contractions are more useful in a trending environment. We have found this to be true. Opening range breakout is effective after an inside day that has a smaller daily range than the previous four days (Inside Day narrow range 4) and after any day that has a daily range less than the previous six days (Narrow Range 7) whether an inside day or not. We have carefully coded Toby Crabel’s initial indications, and that is why this EA creates “4” and “7” on the chart: when you see a 7, it means the day prior was a Narrow Range 7. When you see a 4, the day prior was a Narrow Range 4 or and Inside Day. Our work is far from over, because simply coding the volatility contraction is not enough to produce a robust edge. It is however, interesting to see how simple concepts can already produce interesting results. Volatility contraction is a powerful concept indeed. Time ago, it might have also worked “straight out of the box”. But with computing power, many simple edges have been eroded. This doesn’t mean that volatility contraction is irrelevant. On the contrary, volatility cycles are inherent within market behaviour. Results from our initial tests, using a simple 3 ATR stop. 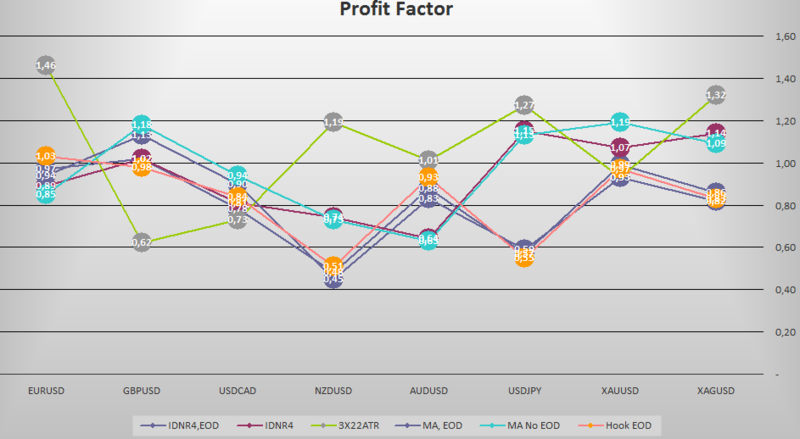 Note the kind of results that are obtainable when conditions are favourable (EurUsd, UsdJpy, Silver). As with most edges that Craig & I have studied, the key to profiting in today’s markets lies not within new strategies. The key lies within identifying common, repetitive behaviours and exploiting them with very clear intentions. This is why I frequently talk about objectives. Depending on your objectives for the trade, you will be managing the trade in a different way. The key becomes identifying excellent trade management for the concept you are trading. Stay tuned for future developments as we go deeper down the rabbit hole and see just how profitable a simple concept can become, if exploited well. ATR Pivots, to monitor the amount of space travelled by a currency, over a Day, Week or Month. The post Volatility Contraction Strategies appeared first on www.forextell.com.